When a Court of Protection Deputy or an Attorney (with Power of Attorney) is appointed it can lead to suspicion by other family members that the day to day management of someone’s finances are not being run properly. If these suspicions persist, relationships can break down and the Court of Protection can become involved to resolve matters. We often act as an independent third party in these situations, helping to bring the family members together before disputes escalate and overflow into the Courts. Seeking assistance with this type of dispute at an early stage can save the costs of a court application, as well as ensuring that irreparable damage is not done to family relationships. 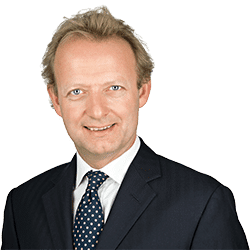 Clarke Willmott senior partner Anthony Fairweather is a trained mediator and will seek to put in place an agreed structure so all parties feel reassured that everything is running smoothly. If there are allegations of financial abuse, fraud, theft or dishonesty then we can help by making an application to the Court of Protection to request a new Deputy is put in place and ensure steps are undertaken to recover money or property. For advice on disputes over finances, contact our specialist team on 0800 652 8025 or contact us online.